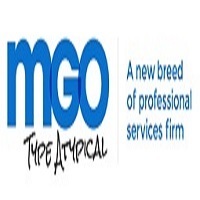 Named one of the ‘Best of the Best CPA firms' in the country, MGO is a leading California accounting firm providing audit, tax, advisory and outsourcing services to a wide variety of dynamic businesses, government agencies and not-for-profit organizations. Our top-rated CPAs and consultants combine industry-leading expertise and proven solutions to help our clients navigate their toughest financial challenges. These include financial audits, performance audits, operations improvement as well as tax planning, forensic accounting and even regulatory compliance or outsourced accountant and staffing needs. Industries served include state and municipal government agencies; sports, media and entertainment; technology; government contractors; as well as gaming, hospitality and tribal operations.